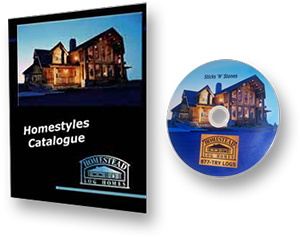 Log Homes and Log Cabin Kits and Designs by Homestead Log Homes, Inc.
Best in the West — Since 1978! 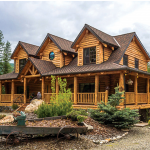 Log homes have come a long from the traditional log cabins of the past and for more than 40 years, Homestead Log Homes has been playing a large role in their evolution. 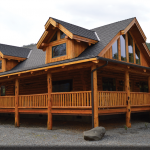 We know what most other log home manufacturers have to offer and we have gained our success by being the log home builders that offer the best products, more options and always at the right price. 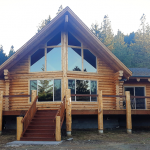 Our use of bigger logs, hand peeling, air drying, lag screw and through-bolt construction results in a better project than with traditional methods. 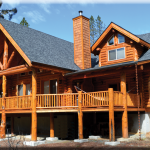 We offer a wide range of hand crafted log home kits. Each floor design is created to provide a comfortable living space that is not only aesthetically pleasing but functional as well. 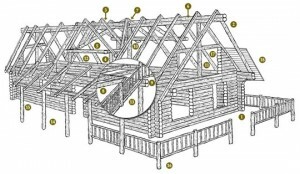 Plans vary from 680 square feet log cabin kits for the ideal getaway to the Riverview log home kit that is an impressive 4426 square feet. The master suite has walk-in closets and a large Jacuzzi tub while other features include a large kitchen for entertaining and cathedral ceilings at several points! 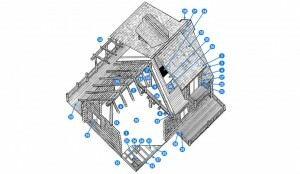 If you have your own idea in mind, we are the log cabin builders for you! 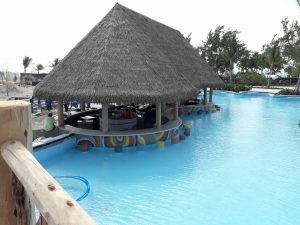 It’s your choice whether you want to purchase one of our pre existing designs or have us take care of the details to make your own design into a reality. We know how important it is to get the right.